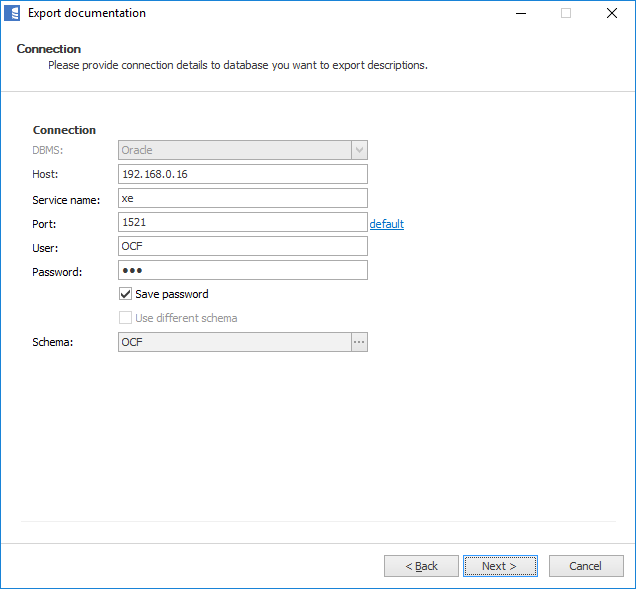 Dataedo allows exporting descriptions (from Description field) back to Oracle database itself. Some descriptions in Dataedo are entered in rich text format, including formatting, lists, tables, images etc. This is saved in Dataedo repository as HTML. 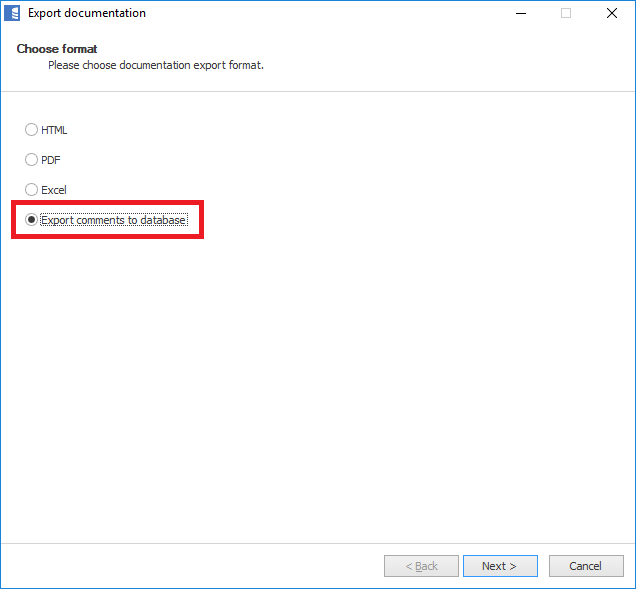 Export function removes formatting and writes only plain text. Databases have different limitations in terms of maximum string length. Dataedo fields are longer and it is possible that descriptions exported to your database may be trucated if their lenth exceeds database capabilities. 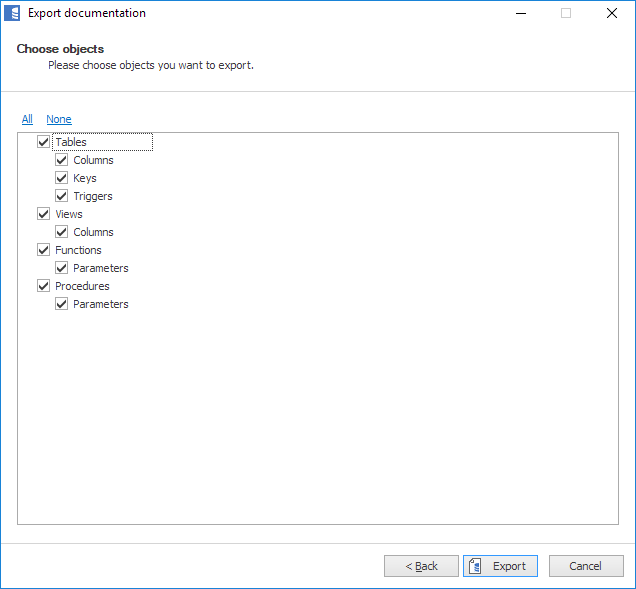 If you want to export descriptions please choose Export documentation in the ribbon. 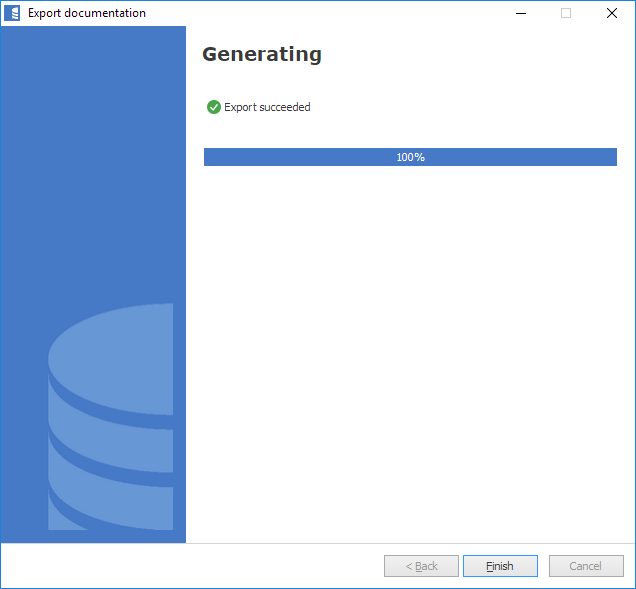 In dialog box choose Export comments to database. Click Next and provide connection details (you will see connection details you provided at import/update). 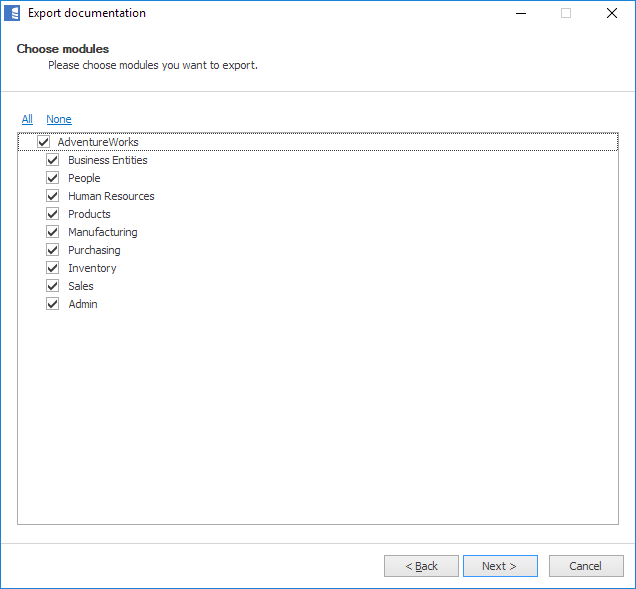 In next step you can filter objects you want to export to specific modules. Now you can filter specific object types. When ready click Export button. Congratulations, descriptions have been saved in your database.